The new BMW M2 – the Munich automaker’s keenly anticipated follow-up to the madcap 1M Coupe – has now well and truly arrived. Yes, the brand’s entry-level M model – which borrows a few bits and bobs from its bigger brother, the M4 – has touched down in South Africa to turn its rear tyres into smoke and set the cat amongst the compact performance pigeons. Question is, how does it stack up against the very latest versions of its most direct rivals from the other Germans? 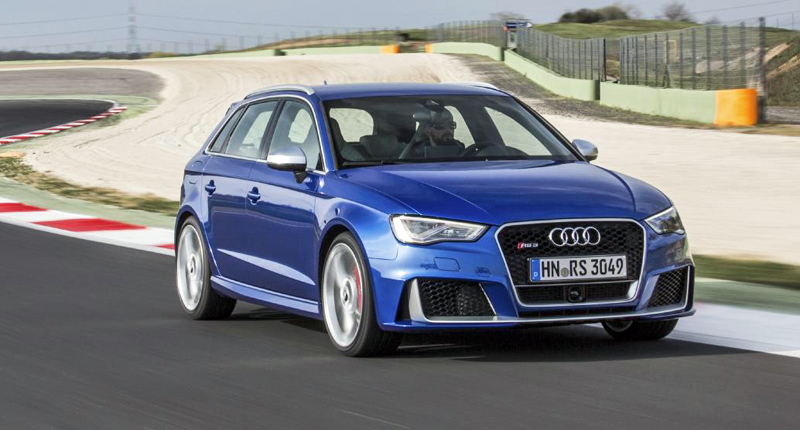 That’s right, we’re talking about the Audi RS 3 Sportback and the Mercedes-AMG A 45 4Matic. Naturally, we decided to set up another on-paper shootout, pitting the best compact performance models from the trio of German automakers against each other. The BMW M2 dashes into the lead in terms of cubic capacity and number of cylinders, thanks to the 3.0-litre straight-six shoehorned under its bonnet. This turbocharged petrol mill makes 272kW and 465Nm, the latter on tap across a wider rev-range than the peak torque of its rivals. Interestingly, the M2 also boasts an overboost function that sees this figure rise briefly to a whopping 500Nm. 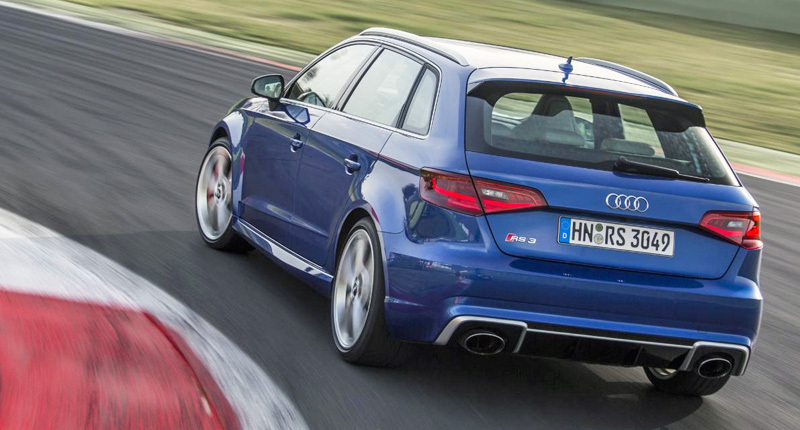 The Audi RS 3, meanwhile, is pretty much on par in terms of output. Its 2.5-litre five-cylinder turbo-petrol engine churns out 270kW and 465Nm, and one of the best soundtracks in the business. But the Mercedes-AMG A 45, despite employing the smallest powerplant here, weighs in with a hefty 275kW and 475Nm. Yes, this 2.0-litre turbocharged may use just four cylinders, but it punches well above its weight. 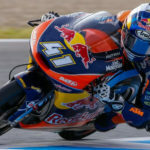 So, how do they compare in the all-important sprint from standstill to 100km/h? Well, the Merc is the quickest at 4.2 seconds, with the Audi just one-tenth off the pace. The automatic version of the M2 matches the RS 3, while the manual takes 4.5 seconds. All are electronically limited to 250km/h. 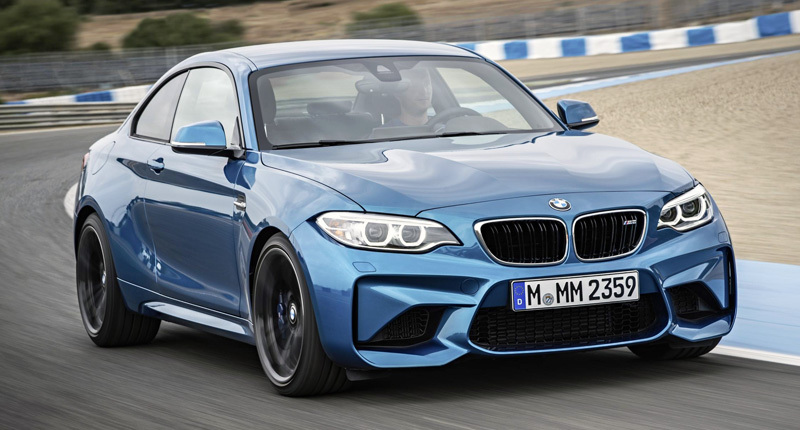 Yes, you can have your BMW M2 Coupe with a stick-shift. And while it may make the obligatory sprint a couple of tenths slower and have a negative impact on fuel consumption, the fact that it’s an option at all is a win for enthusiasts in our book. Interestingly, the six-speed manual gearbox also features an automatic throttle-blip on downshifts. Of course, there’s also an optional seven-speed dual-clutch transmission available, which lines up nicely with similar standard offerings from Audi and Mercedes-AMG. Naturally, these auto models all come complete with paddle-shifters. You may have noticed that the Audi and Mercedes line up against each other pretty neatly in most regards, while the BMW takes a slightly different approach. One of the biggest departures from the folks at the M Division is the fact that they’ve sent drive exclusively to the rear wheels of the M2. The RS 3 and A 45, of course, are both all-wheel drive machines, which allows them to get off the line brutally effectively. But this penchant for traction means their handling characteristics are obviously affected. Fuel consumption may not be at the forefront of your mind when you’re shopping for a compact performance vehicle, but it’s nevertheless an important consideration. 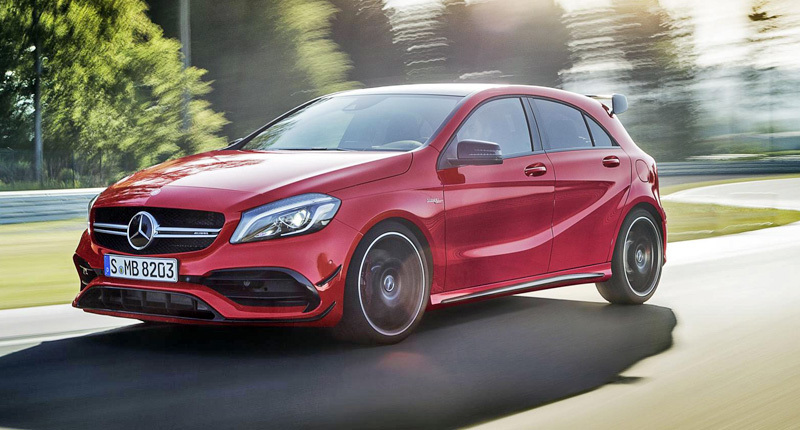 Thanks largely to its smaller capacity, the A 45 comes in with the best figure, with Mercedes-AMG claiming a combined return of just 7.3 litres per 100km. 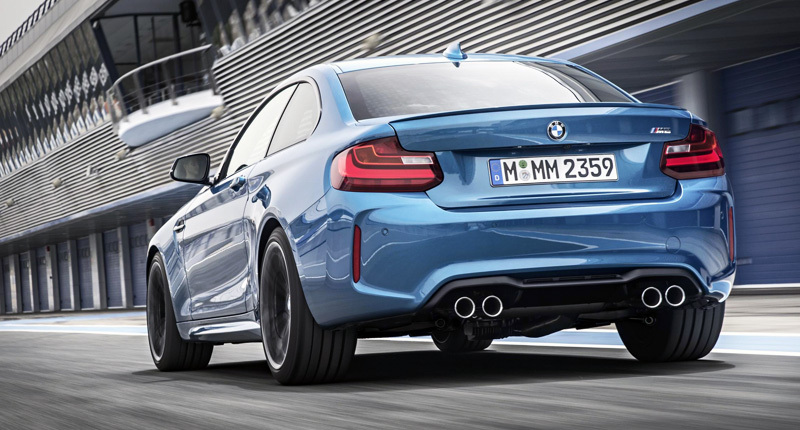 The self-shifting BMW M2 is next in line with 7.9 litres per 100km, while the RS 3 Sportback follows with a claim of 8.1. The manual M2, though, is the worst of the bunch, with its claimed average economy sitting at 8.5 litres per 100km. Of course, returning figures even remotely close to these in the real world is as difficult as licking your own elbow. Again, the BMW makes a point of differentiating itself, this time by its body-shape. 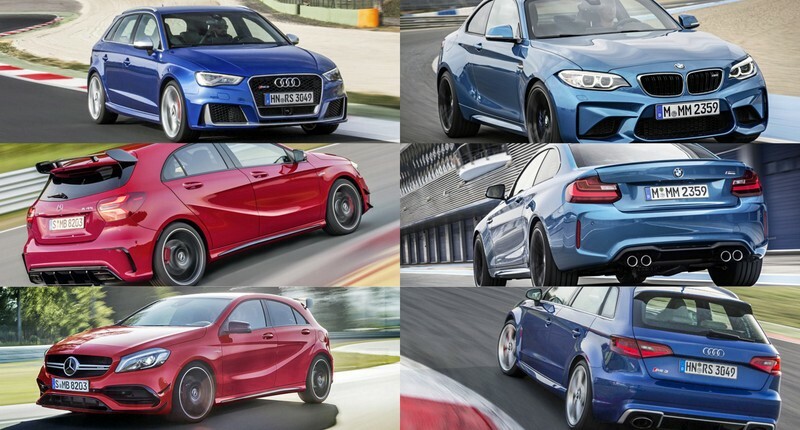 The M2 is a traditional coupe featuring just the pair of doors, while the Audi and Mercedes-AMG offerings are proper hatchbacks (or hyper-hatches, in fact), each available only in five-door flavour. Judging styling, however, is a largely subjective exercise. But the Mercedes-AMG A 45 is perhaps the raciest of the three, thanks to a host of not-so-subtle aero additions, such as that in-your-face rear spoiler. The Audi RS 3 Sportback, meanwhile, is fairly understated and grown-up considering the firepower beneath the hood.